Summary: Burn injuries are often incredibly painful, hard to treat, and have drastic long-term consequences. Of all the injuries that happen in the workplace, burns are one of the worst. They are incredibly painful, hard to treat, and can have drastic long-term consequences. Fortunately, if you suffer one of these injuries, you can likely get help with your medical bills and more through workers’ compensation. If you have not been injured, understanding the fundamentals of burn injuries is still highly useful in order to understand how to prevent such injuries. When we think about burns, our imagination usually goes to fires. In reality, this is not always the case, considering there are three major types of burn. Thermal - This is the conventional burn you are probably imagining. It comes from flames or things that are very hot. Electrical - These types of burns come from electricity. They are often found in the form of currents or sparks. Chemical - These burns come from hazardous chemical compounds. Some common ones are solvents, industrial cleaners, and battery acid. One thing you probably know is that burns come in three degrees: First, second, and third. What you might not know is the specifics of each classification. First - This type of burn affects only the outermost layer of the skin. They are generally not considered severe, and thus are not often eligible for compensation. An example of a first-degree burn is a sunburn. Second - Second-degree burns go deeper than first and have more severe health consequences. This type of burn will yield a red, blistered, and painful spot on your skin and is worthy of medical treatment. Third - This classification refers to burns that completely destroy the skin and may travel into the tissue below it. These burns require medical treatment and will likely warrant compensation. The jobs that are at risk of workplace burns are best explained through burn type. For thermal burns, any job that involves fire or very hot substances is at risk. Two typical examples are cooks and welders. Electricity burns come from professions, like an electrician, that frequently work with electrical currents. Lastly, chemical burns affect employees that work with abrasive chemicals. Two examples of these jobs are mining and auto repair. Obtaining compensation for a burn injury is a lot like most other injuries. The general process is: Get emergency medical treatment, report the incident, get assessed by a doctor, speak with a lawyer, compile evidence, and make your claim. 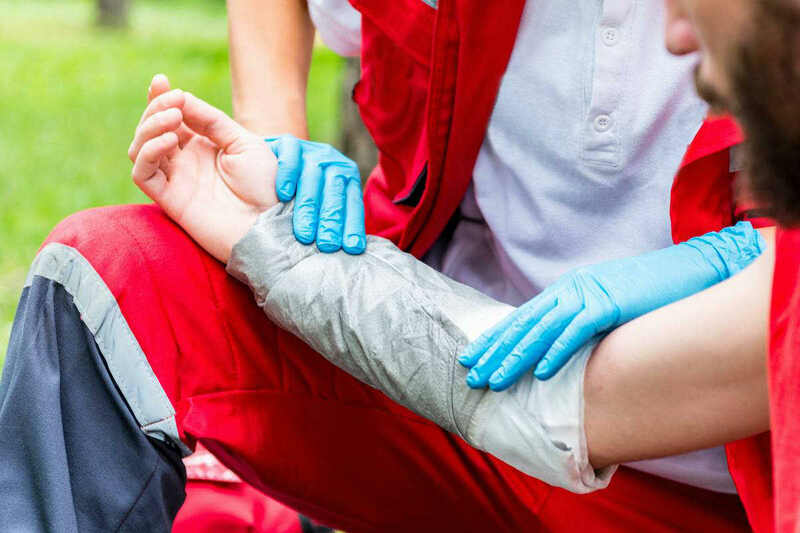 Suffering a burn injury at work can be a harrowing experience, but once you receive medical treatment, it is time to calmly proceed in your workers’ compensation case. An experienced workers comp attorney will help you compile evidence, advise you throughout the process, and fight to get you the full amount of compensation you are entitled to. Give us a call 24/7 at (314) 361-4300 for a FREE case evaluation.